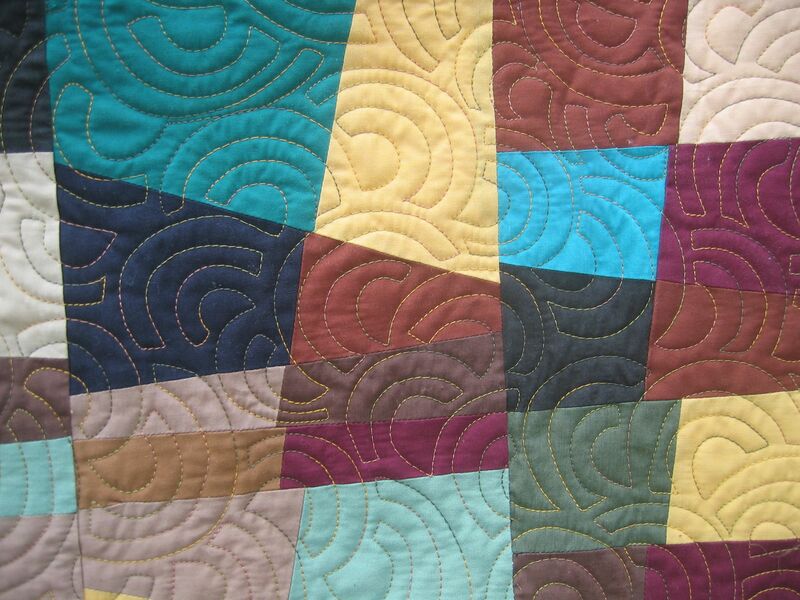 I wasn’t too fussed by this crazy 9-patch quilt’s colours etc. However, when I viewed it hanging on the line, I changed my opinion — I quite like how it looks like an abstract painting. This was a busy quilt with all those solid colours, so I just did a squared off variation of my open headbands motif using a variegated thread in gold, green, and tan autumnal colours. 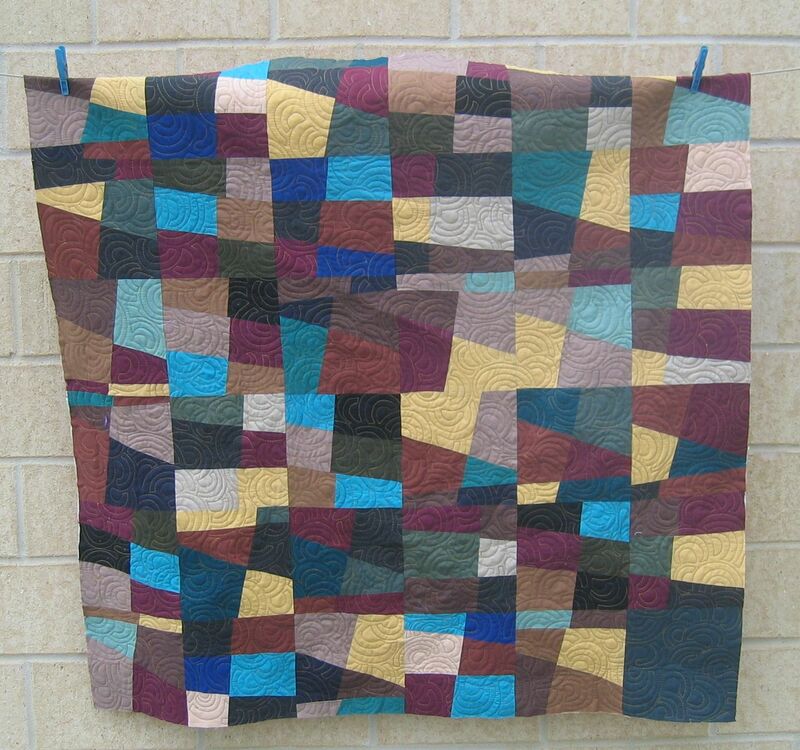 this does look great from a distance – the quilting works really well with the jagged geomertry of the piecing – you always choose excellent designs to enhance the quilts – I think this is a really great man quilt!